There are so many different ways you can make egg rolls. You can update the filling, or the wrapper. Or you can remove the wrapper and turn it into a bowl. Let’s dive in and look at some delicious ideas. How many of us really have a deep fryer at home? Yeah, me neither. I don’t think I’d want one either. It would be too tempting to make donuts and funnel cakes. But it does get you thinking for updating the egg roll. Here’s another healthier egg roll recipe from Hungry Girl. Even though the recipes don’t tell you to, I’d rotate the egg roll midway through baking for an even browning. 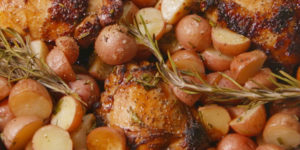 Another healthier method is using an air fryer. I had one years ago and used it so much that I wore it out after four yearss. I haven’t tried the new ones yet, but they look like they are a great alternative. 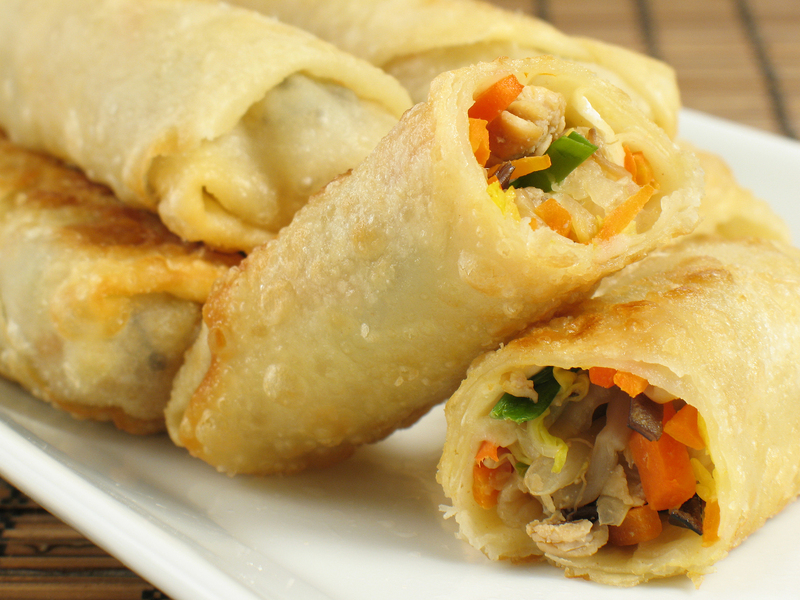 Egg rolls are also a great way to use up leftovers. You could make pizza egg rolls. If you have some leftover chicken, you could make chicken pot pie egg rolls. If you have leftover lamb, you could roll up lamb with some tomatoes and feta to make a gyro egg roll. Let your refrigerator be your guide. The first method is to just make an egg roll bowl. There are a lot of recipes out there on Paleo, Primal and Whole 30 sites on this. So check a few out and get inspired. Another way to go low carb is to make some cucumber sheets using the Kitchen Aid vegetable sheet maker. Then you can add the filling and roll it up. It will be an interesting texture having the cool cucumber be crisp with the yummie warm filling.